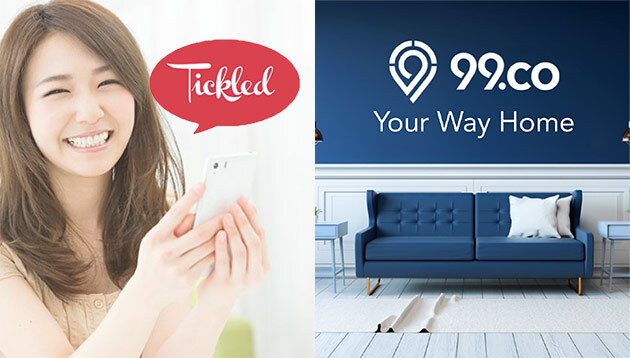 Property site 99.co has secured a deal with Tickled Media to co-represent both digital media assets across the region, starting with the Indonesian market. This is done with the aim to expand the reach of both companies. The collaboration will see the creation of bundle packages that looks to enable interested advertisers to buy into the digital platforms of both companies, and reach their combined audience. This includes advertisers such as property developers, financial institutions, media agencies, and other brand entities. Market research projects and custom packages are also offered in this joint initiative. According to Darius Cheung, CEO of 99.co, the brands that 99.co partners with, all look to target and reach out to homeowners. Thus, tying up with Ticked Media “just made sense” for the brand. “We currently serve over two million active home seekers and investors across Singapore and Indonesia. For this reason, we’ve seen much interest from advertisers to include us as a part of their marketing plan. We are confident that this partnership will value-add our partners even further,” Cheung said. Recently 99.co had acquired Indonesia-based property portal Urbanindo in a bid to cement its position as one of the largest property portals in both Singapore and Indonesia. Following the move, consumers in both countries will be able to access 99.co’s database of home options, bolstering the brand’s agent network in Indonesia. Currently, the portal serves over two million property users with over 150,000 and 1.2million property listings respectively.